I almost hiked Cady Peak last weekend. I was exhausted and I turned back before I even started climbing the actual peak. I hiked for 1.5 hours crossing 3 miles of the open desert up a long wash. It was a seemingly endless uphill slog. I still enjoyed the hike. 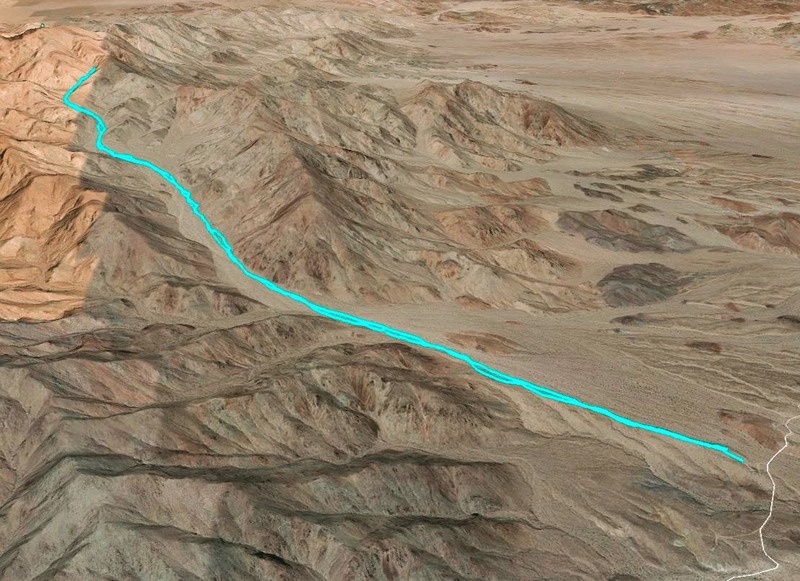 Cady Peak is located in the Mojave Desert east of Barstow. I was using information from Bob Burd's site. He's a very active hiker and seems to have hiked almost every hill around. I often find his name on the summit registers. He does a pretty good job of describing his hikes, so I recommend his site for those interested in hiking in the mountains or deserts of California. Just remember: he's a very skilled and fit hiker. When he says it took him 1 hour to reach a particular waypoint, I know it will take me 1.5 hours. It's not a sandy wash. The photo above is looking toward the peak from where I parked. Here's a shot looking south east toward Broadwell Dry Lake. Four years ago, in this very area, I almost stepped on a horned sidewinder rattlesnake. Another shot looking toward the peak. Springtime brings new life to the desert and my boots had a nice dusting of pollen. There were also a lot of bees. This area had some nice shade. It's easy to walk up the white colored rocks at the back of this gully. I stopped and turned back here. This shot looks up toward the summit.